One of the oldest cigar companies still in production today, Partagás cigars was founded in 1845 by Don Jaime Partagás. An innovative and tenacious man, Don Jaime was known for experimenting with aging and fermentation techniques and was the first to entertain cigar rollers by hiring a lector, which eventually became a well-established tradition in most cigar factories. After Don Jaime's death, ownership of Partagás cigars passed to Ramon Cifuentes, Sr., passing later to his son, Ramon Cifuentes, Jr. and partner Benji Menendez, who now oversees the company. Though much has changed since Don Jaime opened the first Partagás factory in Cuba, having since changed hands and moved operations to the Dominican Republic, Partagás cigars is still devoted to the quality and techniques prioritized by the company's namesake. 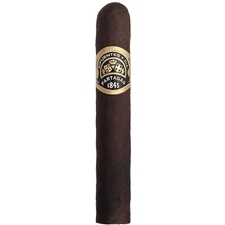 We are proud to offer one of Partagás's fuller-bodied lines, Black Label, in two vitolas. 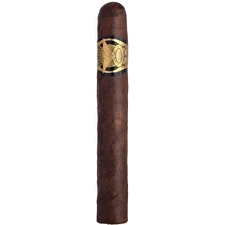 Bold and rich in flavor, Black Label cigars boast premium Nicaraguan and Domincan-grown Piloto Cubano ligero fillers in a Connecticut Maduro wrapper and Dominican binder, sure to delight the discerning connoisseur.